Les Papilles - San Diego Dining Dish! In my post about the various foods that I horfed while in Europe a couple of weeks ago, I purposely neglected one of the best, nay, the highlight, of my trip. 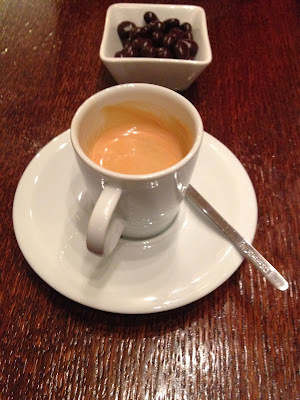 I've been reading David Lebovitz's blog for a number of years, and to date, he has not steered me wrong with his food and drink recommendations. If you are going to Paris, you could do worse than taking a gander at his blog and the beautiful photographs. One of his most highly recommended places to eat in Paris is Les Papilles. I've been wanting to go there ever since I first read about it, and this visit to Paris was the one. Reservations are a must, but are simple enough. Just go to the website and email the very friendly owner, Bertrand, and he will put you down for the evening of your choice, if there is space available. One of his requirements is a confirmation on the date of your reservation. We arrived promptly for our 7 pm seating, and my goodness, the wines! 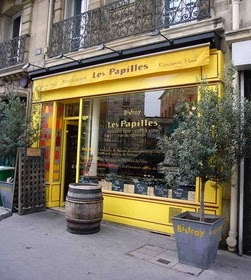 Les Papilles acts as a restaurant as well as purveyor of gourmet food and wine, and the shelves are fully stocked with excellent vintages to be bought and taken home, or enjoyed with dinner for a modest corking fee. The menu is a set meal. Everyone eats the same thing, and most courses are served family style. For dinner, there are four courses, traditionally French: a salad/soup, main, cheese course, and dessert/coffee. 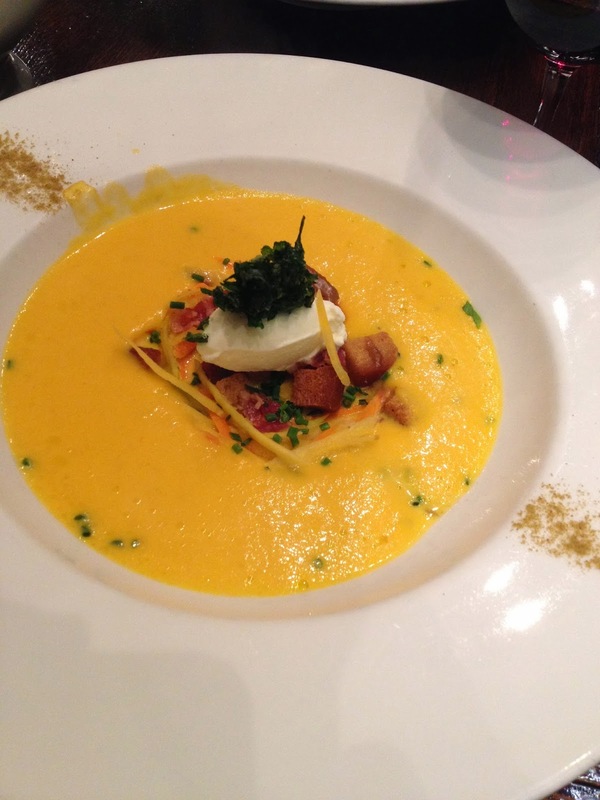 For this evening, the soup course was curried carrot soup served with garlic croutons and carrot sticks. Served in a terrine with the croutons and carrot sticks placed into the center, this soup was incredible. The flavor was savory and garlicky, with a bit of sweetness, and the garlic croutons were perfection. 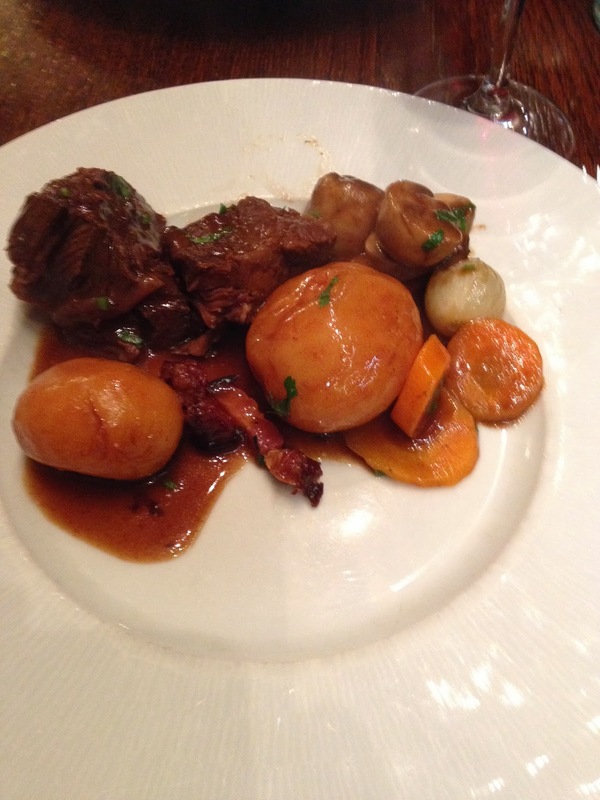 The main course for the evening was beef cheek braised (or as Bertrand stated "cooked for a very, very, very long time") in red wine and served with potatoes, carrots, mushrooms, lardons, and plenty of thyme. 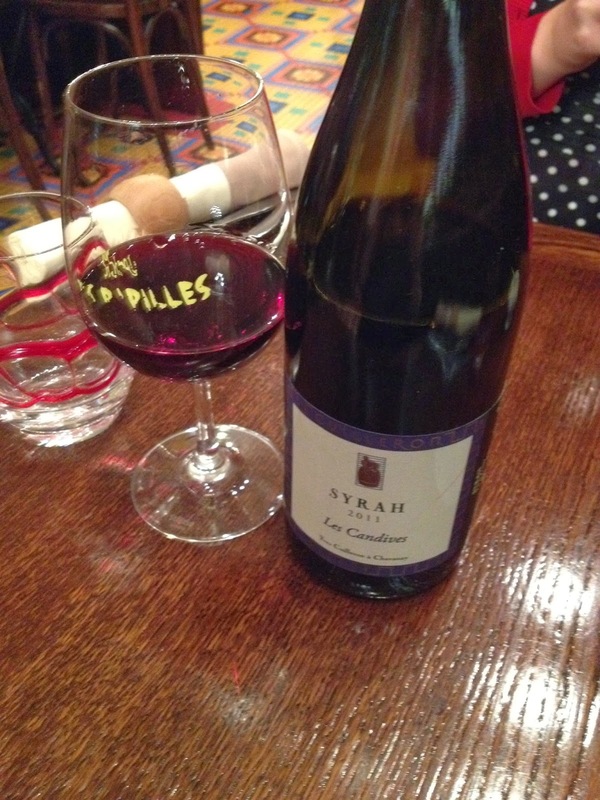 Delicious, and a perfect antidote to the cold weather in Paris. A true beef burgundy, and paired exquisitely with the Syrah that we picked from the wall. We were stuffed with the huge helping of beef and root vegetables, but we still had two more lovely courses! The cheese course was next, and oh dear, I think that we need to start having a cheese course for everything here in the States. The cheese was a bleu brie, and served with apple butter and lots of fresh baguette. 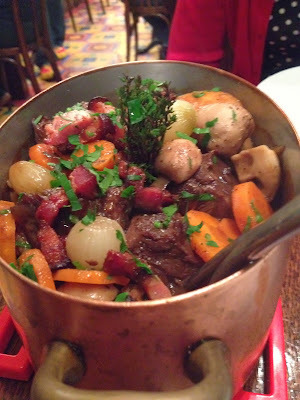 It was rich and delicious, and felt completely decadent after the savory beef and vegetables. Dessert was our final course (what else is there?) and was thankfully, light and cold. 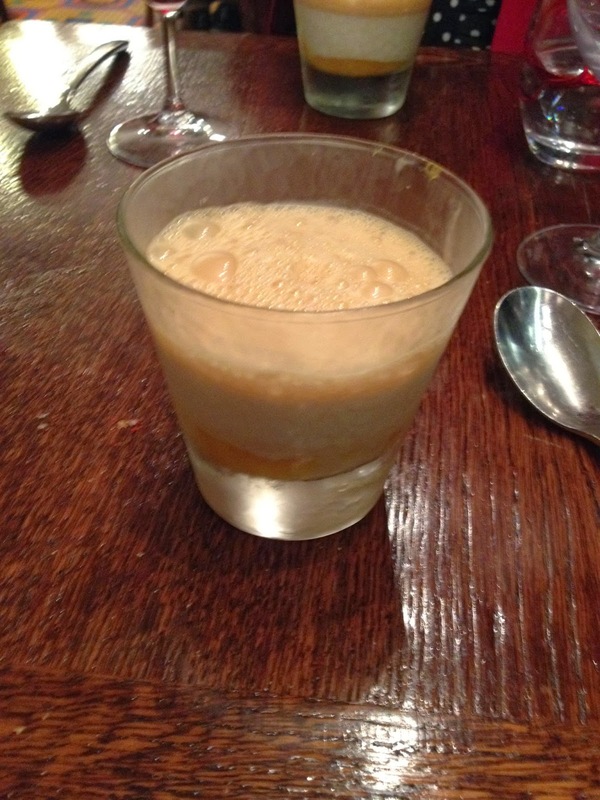 A caramel panna cotta with a layer of caramel ice, this dessert was a perfect finish to the array of winter favorites. Two mugs of espresso served with chocolate-dipped almonds was a nice disgestif to end our incredible meal. I really liked the concept of one meal for the evening. It keeps costs low, since all ingredients are used, and keeps the menu fresh. The cost was embarrassingly low for such a high quality experience. I will certainly pay a visit to this establishment if I'm ever lucky enough to return to Paris.